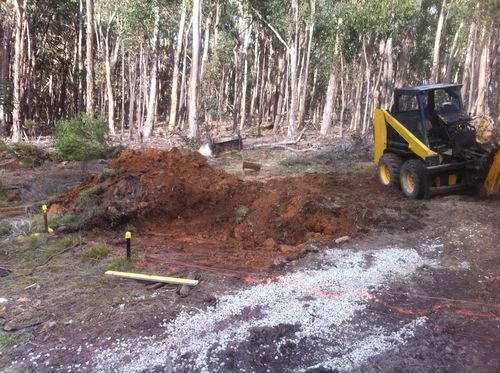 I made a start on the excavations today, hooray!! It’s good to finally feel like I’m getting somewhere for a change. There’s a lot of soil to move though, and the question arises: Where do I put it? The backhoe has a very limited reach and I don’t have a tipper truck to cart it away. I do have the Hilux and briefly considered using it, but it would very likely become a “tipper” itself and fall over down the hill. 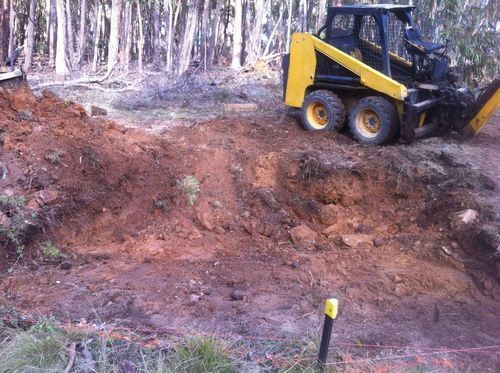 So I don’t yet have a very good solution to the problem.. at the moment I’m just restricting my excavation to one area within reach of the edge of the site, so I can keep the soil in one spot which I’ll bulldoze out of the way later with when I swap out the backhoe for the bucket.